What a season! How did it feel to end it by winning the Top 14 Title? It felt absolutely amazing! I’ve never been a fan of the playoff system, having lost the English Premiership final, having finished top of the league, and having also won the final having finished 4th, I have experienced both the good and the bad of the playoffs. I personally think the best team in the league throughout the year should be crowned champions. However, as it’s a play off the whole season comes down to one game and having lost the European Cup Final that was very much the case for us going into the last game of the season. To play against a side like Toulon who over the years have beaten Clermont in so many finals, and for it to go down to the final minute, created such an unbelievable atmosphere in the stadium and on the pitch. What moment from the season was the one your will remember for the longest and why? The last 5 minutes of the final. Seeing two teams putting everything they could do into a game knowing that an entire’s year work rests on the result. What has been the biggest challenge you have faced playing in France? Speaking French with a Northern accent. 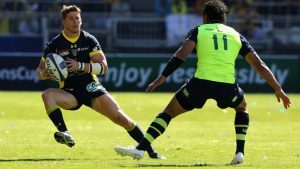 Having played in the Premiership for over 10 years you would like to think you’ve earned the respect of the fans and the teams you play for and against, moving to the Top 14 for me was a new challenge as I knew I would have to prove myself again. With new team mates, against new opponents, and in front of new fans. There are a lot of ‘foreign’ players in France, how does it work at training, in the changing room and in games with the differences in language and cultures? Playing for a French team is an emotional roller coaster, performances are very much ruled by the heart not the head, which as you can imagine can be very frustrating for coaches at times. 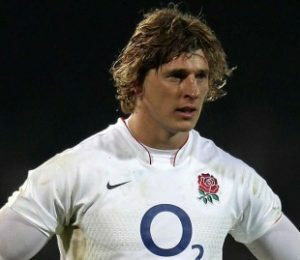 Playing in England the games are much more structured, whereas in France there is more of a play what you see mentality. Having said that, Clermont is seen as one of the most professional and structured clubs so transitioning wasn’t too hard. Who is your mate at Clermont? Nick Abendanon, although I think Nick’s best friend is Frank the coach. Who has been your toughest opponent? Who do you love to play alongside? The Top 14 is littered with unbelievable talent so you’re spoilt for choice. However playing outside the likes of Brock James, Morgan Parra and Camille Lopez has been great fun. My teammates. I don’t know a rugby player who doesn’t want to perform well for their teammates. If you have a bad game they are the first people you’ve let down. Who has been the biggest influence on you career? Would have to be my Mum and Dad, if it wasn’t for them driving me to training every night of the week, I definitely wouldn’t be playing sport now. That’s where any career starts. One good game doesn’t make you a good player just like one bad game doesn’t make you a bad player. The second good bit of advice was: Amateurs Practice till they get it right, Professionals Practice until they don’t get it wrong. 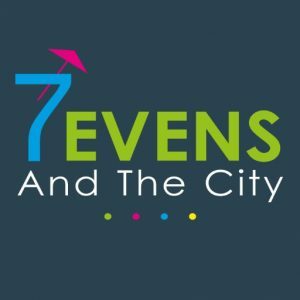 7evens and the City looks to be a FANTASTIC event! What are you most looking forward to? With the inaugural Worldwide Currencies All Star exhibition match giving a plethora of ex international and Premiership players the chance to pull on their boots again, all in support of a great cause, it’s something I can’t wait to be part of. Also, as we’ve increased the amount of social sports on the Saturday, with Dodgeball and 5-a-side Footy, there really is something for everyone. 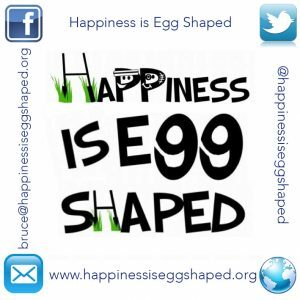 Will you be taking part in any of the events??? Summer Slam? Football 5s? As with most backs I’m a failed footballer, so no doubt you’ll find me having a kick around at the 5 a side. There are some big names making an appearance, who are you most looking forward to catching up with? Having played alongside Ugo for many years at Harlequins, and having not seen him since he had his little girl, I’m looking forward to a good catch up with him. Can you see this model working in other cities? Are there plans to host other events? I think there is definitely scope in other cities because it is a very simple concept, pairing social sport and music, two things everybody loves! One of the most important aspects is Location and having somewhere like Allianz park with such a large amount of sporting facilities it really allows you to cater for lots of different sports and big after parties! What plans do you have for when you finish as a professional player? This is the 4th year for 7evens and the city so I hope the event will continue to grow for many years to come. Away from sport, I’ve always been interested in property and property development, that’s another avenue I would love to pursue post rugby. TICKETS HERE FOR 7EVENS AND THE CITY – and have a great weekend!